Surface Pool Lamp is a new design which is different from PAR56 Pool Lamp. It is surface mounted installation, no needing to dig a hole on pool wall, but just fix a plastic board on surface of pool wall, and click the lamp on the board, it is easy for installation and replacement. The lamp is in plastic material which is not easy broken, and is friendly to environment. Using high power led is a big advantage, it looks like pearl when each piece LED changing its color, customers can fix static state color and change color of lamp by pressing buttom of remote. Automatic color changing, two colors jumping, RGB jumping, RGB fading, Flashing, ect. 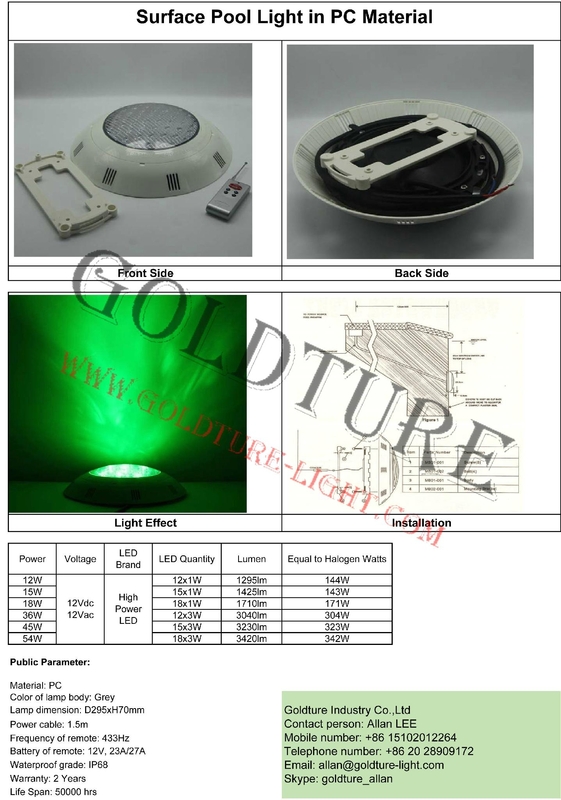 Our lamp can work with AC12V and DC12V, which is safe for human swimming. 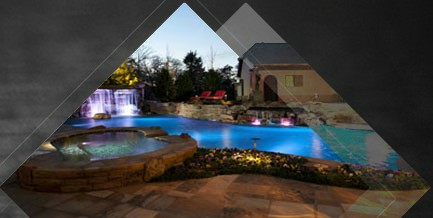 and the lamps are synchronous all the time if customer connectes AC12V transformer to several lamps in the same pool.